Well done to Tally Hassan for winning August’s Temp of the Month. 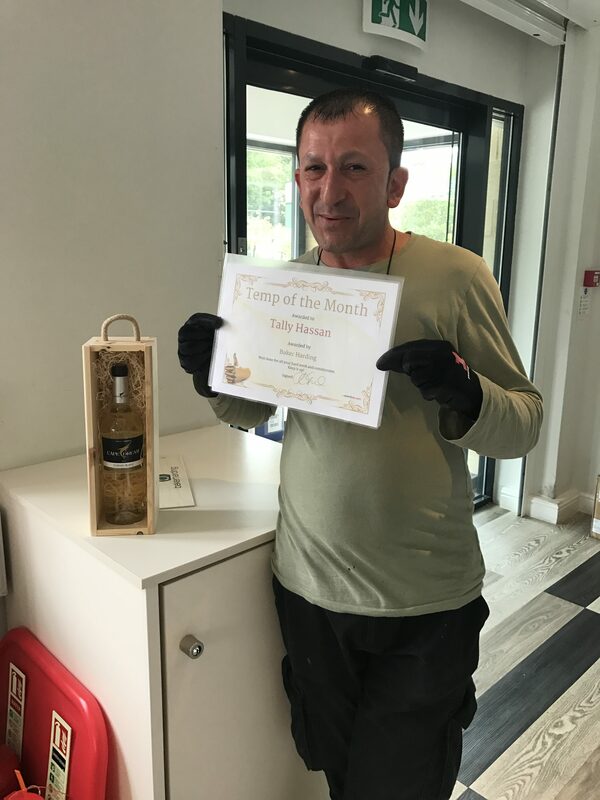 Tally was nominated by his Warehouse Manager for his excellent worth ethic, good timekeeping skills and willingness to work overtime when necessary. We would like to thank you all your hard work, commitment and loyalty you’ve shown! Keep it up.